It’s been an odd year for film. It may not have had the immediate cachet that last year displayed, but it was still split between old masters coming out of the woodwork to re-establish their claims and newcomers making incredible debuts. Beyond the assured money-spinners of Harry Potter and The King’s Speech, the British film industry delivered a number of excellent films with fairly minimal fanfare – many of them reviewed here. In addition to the great Brit-flicks on my list, Tinker Tailor Soldier Spy was a very well-crafted film that harked back to a more slow-paced, cerebral type of spy story. And John Michael McDonough delivered a great debut with mordant Irish crime comedy The Guard, featuring Brendan Gleeson in a standout role as a shambolic small-town policeman clashing with Don Cheadle’s straight-man Fed. Ben Wheatley’s Kill List was matched in ultraviolent intensity by Simon Rumley’s US-UK production Red, White and Blue and Bong Joon-Ho’s Korean revenge thriller I Saw The Devil. In Hollywood, summer blockbusters like Thor and Super 8 were very well-made, combining spectacle with a Spielberg-esque light touch. (Transformers 3 was predictably awful. I saw it in a double bill with Super 8. The less said about it the better.) All told, I think this year has at least as much quality releases, but any narrative surrounding them has yet to emerge. Anyway, I hope you enjoy my entirely subjective top fifteen. This gripping horror-thriller provided one of the most disturbing film-watching experiences I had last year. A tale of two ex-soldiers turned hitmen taking on a job that goes very badly for them both, it turns on an audacious narrative shift that somehow comes with the inevitability of a nightmare. The grim landscape of anonymous chain hotels and suburban housing developments lends a perfectly bizarre incongruity to the increasingly gruesome storyline. Director Wheatley uses jump cuts and eerie soundscapes to keep the audience constantly on edge, lending domestic arguments and scenes of bloody violence the same unsettling atmosphere. Not for the faint-hearted, but still astounding. A drier-than-dry comedy of manners about a well-to-do family’s holiday on the Scilly Isles doesn’t sound a promising prospect. But Joanna Hogg’s latest feature fashions an absorbing drama out of those raw materials. Through lengthy, static camera shots, she achieves an almost anthropological focus on the awkward upper-middle-class social manoeuvrings. Tom Hiddlestone stands out from an excellent cast as the first son preparing to embark on a volunteering mission for reasons he doesn’t fully understand. And despite the distanced direction, we still feel for this dysfunctional but essentially caring family. In a year full of foul, poisonous rhetoric from our political classes directed towards the disenfranchised, it took a low-budget sci-fi film from comedian-turned-first-time-director Cornish to humanise inner-city youth. The protagonists aren’t whitewashed; they first appear mugging a young woman on her way home. But an alien invasion inspires them to fight back in defence of their block, and the rough-hewn community within. Block is fast-paced, witty and extremely well-crafted for a debut feature. And underneath the action, it poses serious questions about how we live together. It’s a hopeful and humanistic picture, unafraid to wrap big ideas in populist entertainment. Bridesmaids is well worth discussing beyond the cultural conversation it started about women in comedy; it’s a sharp-eyed, extremely funny look at growing up. Kristen Wiig and Maya Rudolph are excellent as the childhood friends whose relationship is tested to destruction over the latter’s impending wedding. Wiig’s Annie is impressively three-dimensional; immature and often unlikeable, she perfectly portrays a young-ish adult unhappy with the turns her life has taken. The supporting cast all put in good work — particularly Chris O’Dowd and the hilarious, scene-stealing Melissa McCarthy — and despite the overlong runtime, it’s an enjoyable ride with people who feel real. 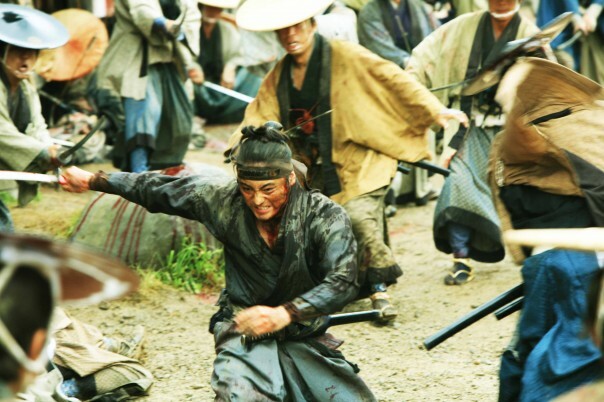 Master of ultraviolence Takashi Miike here delivers a more toned-down historical samurai picture – which still makes it crazier than most action films out there. The setup — former samurai recruits the titular group of swordsmen to assassinate a sadistic young lord — is a long, slow boil, containing questions of honour, duty and sacrifice. It all leads up to the film’s centrepiece; a delirious 40-minute battle sequence, staged in a booby-trapped village, with the 13 assassins versus a small army. Miike stages the carnage expertly, creating a grippingly visceral sequence that ebbs and flows like a real battle. You stagger out of the cinema privileged at having watched a master at work. A stylish throwback to the ‘80s LA-set thrillers of Michael Mann and William Friedkin, Refn’s first US-set film is also of a piece with his previous studies of violent men, shot with a lyricism that belies the brutality they carry with them. Ryan Gosling’s taciturn stuntman/getaway driver isn’t just a Hollywood archetype; he’s a character who’s internalised those those archetypes to show a better face to the world. And although his budding relationship with Carey Mulligan is tenderly believable, it’s only when he’s plunged into the middle of a botched gangland deal that his true nature comes to the fore. The film benefits from an excellent supporting cast, including the aforementioned Mulligan as a beatific single mother, Bryan Cranston as Gosling’s sad-sack boss, and Albert Brooks and Ron Perlman as a pair of vicious gangsters. 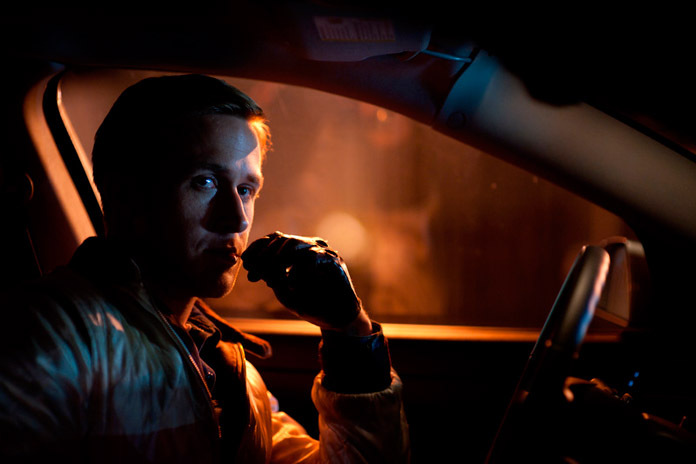 But for long stretches Refn chooses to present the film as a near-mute Zen pulp poem, letting the electronica-heavy soundtrack do the talking and concentrating his camera on the architecture of LA, Gosling’s blank expression, the glare of neon or a spurt of rich red blood. It’s a strange fusion of noir and fairytale, with familiar elements retooled and let loose on the road once more. Though it contains few moments of violence, Meek’s Cutoff is one of the tensest films I saw in 2011. Kelly Reichardt’s low-budget Western takes place among a group of emigrants journeying to Oregon. Travelling by wagon, horse, and on foot, they are constantly vulnerable to the smallest accident marooning them in the parched landscape. Tensions shimmer like heatwaves between the members of the party, particularly shifty guide Stephen Meek (Bruce Greenwood) and self-assured traveller Emily Thetherow (Michelle Williams). Reichardt’s unobtrusive direction and use of minimal dialogue or music draw us inexorably in to this almost alien world, where the creak of wagon wheels is the only sound. It’s a journey that leads us not towards a traditional climax, but a brief, surreal moment of epiphany. I’ve unfortunately missed out on most of the critically-acclaimed documentaries released in 2011, with one exception. This powerfully affecting story of death and life in inner-city Chicago follows a group called Ceasefire, composed of former gang members, who walk the streets doing what they can to stop the cycle of retaliatory violence spinning out of control. In each nervy conversation with a young person they’re aiming to dissuade from violence, you see the toxic combination of youthful bravado and rage borne of desperation. And as the members themselves tell their stories, you’re left with the sense that each of them feels a furious need to try and relieve future generations of the kind of pain they’ve both caused and suffered. It’s a film short on moralising and easy answers. The people featured are themselves the story; their self-justifications, reminiscences and struggles to make it through day a reminder of universal human frailty and the capacity for hope. Haigh’s debut is a honest, melancholy but uplifting relationship drama about two people coming together in a one-night stand turned brief romance. The slightly shy, introverted Russell (Glen Cullen) picks up Glen (Chris New) at a club, and while both assume it’s a one-time thing, they end up hanging out and getting to know each other over the course of the weekend.It’s a rare example of a film featuring a gay couple that doesn’t play as a tragedy or worthy issues-based drama. The closest it comes to polemic is the presentation of the simple urgency of the affection Glen and Jay feel for each other; no one could watch this film and come away unconvinced of the relationship. The flat, affectless handheld camera work makes you feel like makes you feel present in the the most intimate moments, and both Cullen and New give excellent performance, with all the hesitations and awkwardness of real conversations. As the weekend goes on, each becomes more and more exposed to the other until their conversations are raw and almost painful in their honesty. It’s a wonderfully made love story that manages to be truthful about love. Comedy genius/music video director Richard Ayoade (you might know him from such Britcoms as The IT Crowd and Darkplace) branches out into feature filmmaking with this coming-of-age tale. Set in a small Welsh seaside town, it follows Oliver Tate, a precocious schoolboy who, like most teenagers, views himself as the heroic protagonist in the film of his life. But strains in his parents’ marriage and the arrival of his first crush threaten to throw his world into confusion. Ayoade has crafted a brilliant vision here, alternately laugh-out-loud and moving. The distinct look of the film, riffing on Wes Anderson and the French New Wave, is enhanced by the gorgeous retro soundtrack from Alex Turner. 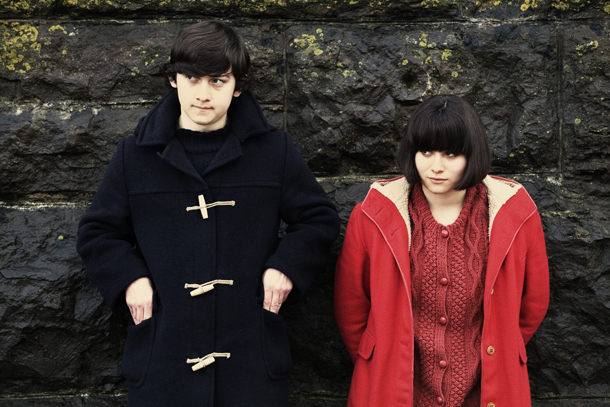 Newcomers Craig Roberts and Yasmin Paige are excellent as the star-crossed teenage couple, with the adult supporting cast (Noah Taylor, Sally Hawkins, Paddy Considine) holding up their end. But in the end, this is a film all about youth; how we romanticise ourselves, and the inevitable heartbreak that comes when we have to reconcile that image with the real world. There are few films that can make me leave the cinema with a sens of aboslute glee. This year, True Grit was one of them. Was it the sense of being in the hands of directors who have absolute mastery of their craft? Was it the excellent performances from Hailee Steinfeld as steely fourteen-year-old Mattie Ross, Jeff Bridges as drunken lawman Rooster Cogburn, and Matt Damon as conceited Texas Ranger LaBoeuf? Maybe it was that for a Coens film, this is remarkably straight-faced. There are extremely funny lines, thanks to the dry wit of the novel remaining in the script, and moments of off-kilter humour. But as the film takes us to the deserted wilderness beyond American civilisation, it becomes a ripping adventure yarn where the central trio are tested, parted, and then brought back together to help each other. It’s utterly thrilling to see a directorial team firing on all cylinders, working with excellent actors, bringing a great story to the screen. The perfect climactic action sequence, a non-stop series of impasses and reversals, and the moving coda set years after the main narrative, are a perfect closer to this wonderfully-crafted film. Almodóvar’s latest is a bizarre melodrama/thriller featuring Antonio Banderas as disturbed plastic surgeon Robert Ledgard, who keeps a young woman, Vera (Elena Anaya), as a pampered but de facto prisoner in his home. The three inhabitants of the mansion – Vera, Ledgard, and his housekeeper – spend the early part of the film dancing around each other in a strangely self-aware performace of their required roles. The ever-present monitor screens and microphones in the house by which Ledgard keeps watch over Vera makes the audience complicit in his voyeurism, and draws us into the bizarre family set-up, before it is blown apart by a relevation which recasts all that has gone before. Banderas has never been better, his soap-opera-star-gone-to-seed looks perfectly suited to the charismatic but dangerous Ledgard. Elena Anaya is, if anything, even better; the smallest changes in her expression and body language suggest a world of torment under her placid exterior. As with most Almodóvar films, there is a depth beyond the pulpy subject matter, and the chronological trickery only enhances the film’s themes. For all the acting and gameplaying going on in the film, this is a story about identity and the inner strength needed to remain true to oneself. After his mother dies of a heroin overdose, J (James Frecheville) is sent to live with his grandmother (Jacki Weaver), the matriarch of a family of criminals in suburban Melbourne. Caught between his family and the detective pursuing them (Guy Pearce), he must rely on his own wits to stay alive. The plot, a “relative innocent caught up in criminal underworld struggling to break free” set-up, is well-worn in crime films. Where it differs is in the depiction of murder in the midst of banal Australian suburbia. The operatic tone of a Goodfellas is absent here – these are frightened, desperate men, crashing around cramped under-lit houses. And even Pearce, the nominal “hero”, fights a battle between morals and expediency. The wonderfully foreboding atmosphere makes Animal Kingdom feel like both an excellent crime thriller and examination of a dysfunctional family, looking at the lies we tell our relatives and ourselves. I’d heard the praise for Jeff Nichols’ latest film long before it arrived in my neck of the woods. But I was still unprepared for how it affected me. This is an unbearably tense film, with scenes scarier than most horror films. And the most terrifying thing about it is that all the threat comes from inside the protagonist. 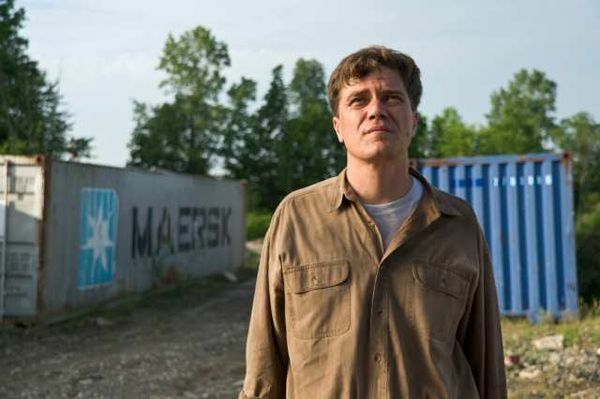 Michael Shannon plays a taciturn Midwestern blue-collar worker plagued by bad dreams and premonitions of doom. 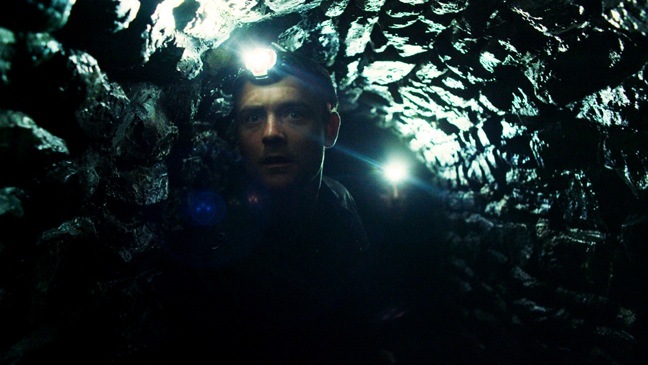 While the film doesn’t strain for topicality, it’s easy to read into Shannon’s nightmares modern-day America’s fear of terrorism, plagues and natural disasters, to say nothing of fear as a pathology in itself. We never shake the sense that Shannon and his family are under terrible threat, both from his own mind and the insanity and barbarism of the US health care system. The more his condition worsens, the greater the chance of losing his job (and the health insurance that comes with it) becomes. Like a toppling row of dominoes, every mistake and bad decision leads inexorably to a worsening of their situation. Shannon’s massive, slablike face (probably the closest our puny “reality” will come to channeling a Jack Kirby drawing) is brilliantly expressive, registering the tiniest shifts from love to dread to stoic determination. While we see Shannon’s gradual breakdown staged against a mundane semi-rural background, the claustrophobic cinematography and eerie sound design draw us deep inside a world where one’s own senses can’t be trusted. Take Shelter remorselessly presses on the nerve marked “fear of your family turning against you”, and even worse, it teases the possibility of Shannon turning against his family. It’s a film about fear, isolation, and the unique torment that is facing mental illness without support. But Nichols recognises that relentless pessimism is as much of a cop-out as unearned optimism. Any happiness gained during this film is hard won, but comes with the honesty of looking your problems in the face, and relying on the people who care most about you. During the time I’ve spent on this list, I’ve been trying to sum up what my greatest cinematic experiences of last year meant for me. I feel that the very essence of film lies in its power to transport you, for that giant screen to be a gateway of sorts to another world. 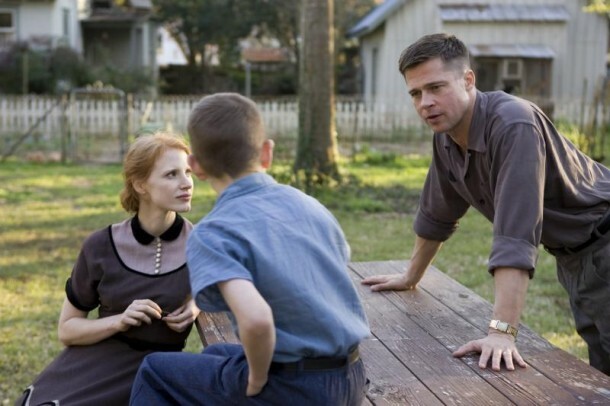 More than anything, Terrence Malick’s latest film reminded me of the essential wonder of cinema. You are held rapt, and given a glimpse of something wonderful. A young boy in small-town 50s Texas. A grown man, ill at ease among towers of steel and glass. The beginning of the universe, the making of the world, and the struggle of life in all its forms. Malick weaves these threads into a tapestry that contains all the questions on life, nature and spirituality that he’s been asking over his entire career.And it’s remarkable how subtly these themes are integrated into the DNA of the film. The constantly roving cinematography, taking the POV of a silent observer flitting in and out of rooms and wandering along bucloic country roads, is the viewpoint of an endlessly curious child. When the scenes switch to a detached, almost Kubrickian exploration of the early universe and primodial life on Earth, we carry that sense of childlike wonder with us. Every instance of creation — the birth of Brad Pitt and Jessica Chastain’s children, the musical signatures tapped out on the piano, the massive arrays of machinery that Pitt works with — echoes that primal moment when something was born from nothing. While the film is a distillation of Malick’s favourite themes – man vs nature, sin and grace, how a child sees the world – it also feels like an expansion of his vision, an attempt to do something even more impressionistic and abstract. It might not have worked for some, but I was riveted. I assume there will be more to discover on further rewatchings, but one showing was enough to make a deep impression on me. It’s what film should be about.